Making the Teens of Today the Givers of Tomorrow. Teenagers around the world who share a common interest in giving back to society, helping others in need, and becoming philanthropists in their own lives now have a fun experience to achieve their goals and see the results first-hand. 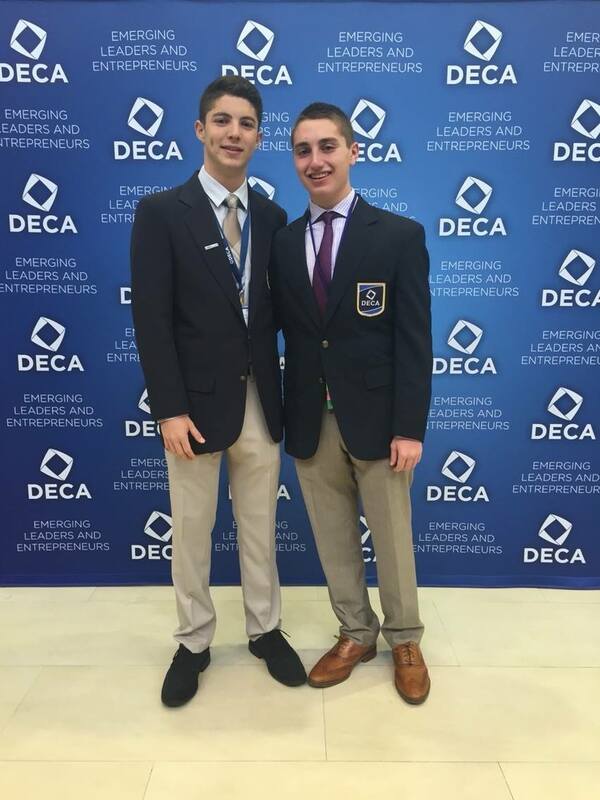 TFT founder Nathan Berman and event partner Bryan Carbone participated in competitive events from with their school's DECA chapter. Nathan and Bryan wrote a 30 page business plan followed by a 10 minute oral presentation about the growth and development of TFT. After qualifying to compete at the State level, Nathan and Bryan then qualified for the International Competition held in Orlando,Florida which hosted 18,000 students from all over the world. Nathan and Bryan placed in the top 15 in the world! TFT has gained valuable contacts and feedback about the business plan. Great work guys! 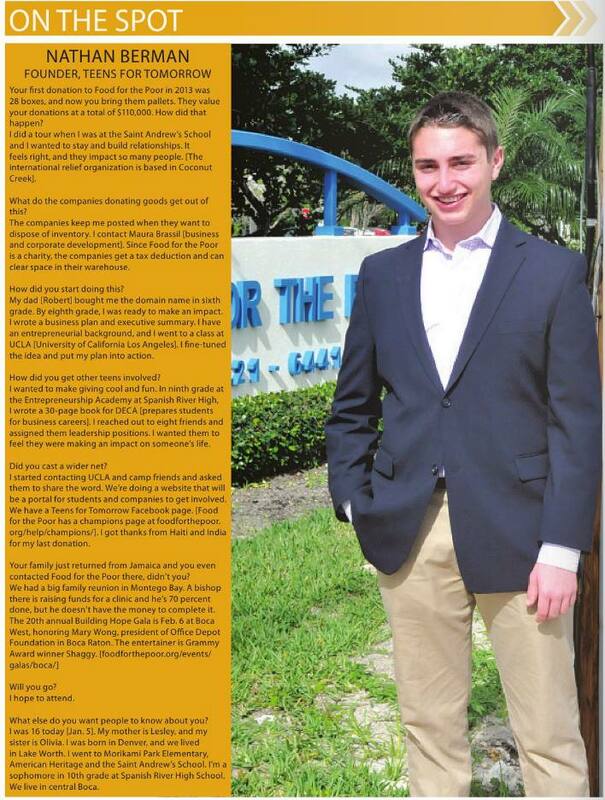 More exciting news: TFT was featured on the West Boca Forum recently!! The West Boca Forum is a publication owned and run by The Sun Sentinel! TFT is honored to be included in this article and looks forward to being involved in the future! (Left)A priest from St. Josephs Church in Falmouth Jamaica. (Middle) Nathan Berman Founder and CEO of TFT. (Right) Bishop Burchell McPherson. Bishop Burchell, responsible for the oversight of 32 parishes throughout Jamaica, has been the recipient of over $75,000 worth of inventory. Bishop Burchell then distributed the inventory across the parishes he is responsible for. Nathan was able to meet with Bishop Burchell recently.